The ELD mandate is now officially in effect. Here’s what to expect during this transition period. 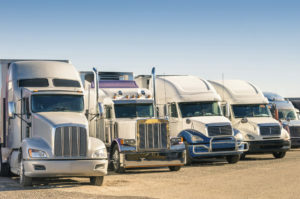 Despite last minute attempts to delay its implementation, the ELD mandate, which made the installation of electronic log devices mandatory on all transportation vehicles, became official in December of last year. The general consensus is that companies are beginning to get used to the new status quo. However, there have still been some bumps in the road as they adjust and there are still questions being posed about the more detailed parts of the mandate which haven’t quite been answered yet. So what should you expect as the ELD mandate rollout continues its implementation? The ELD mandate and the uncertainty over whether it would be implemented on time produced confusion and a rush by trucking companies to comply with the new directives. However, this rush also created a whole new set of problems – namely, that fleet owners didn’t necessarily understand the requirements of the mandate fully and were equipping devices that did not meet the minimum standards. And the mandate specifies that a fleet that isn’t in compliance with the new regulations will only have eight days to fix the problems or face a penalty. While trucking companies have registered their displeasure with the quick turn-around time, it remains to be seen whether the rules will be relaxed or the grace period extended. Enforcement of the new ELD mandate has not been uniform across the board. The Federal Motor Carrier Safety Administration (FMCSA) is responsible for monitoring the implementation of the mandate and issuing citations. Primarily, they are doing so during roadside inspections. While some drivers are being issued citations, others are not depending on the situation – generally, this is due to the equipment malfunctioning or being faulty in some way. Faulty ELDs are another big issue driving the conversation around the mandate right now. Drivers who have a malfunctioning device on their rig have to come up with a solution for logging their hours in case the FMCSA inspects them. For most drivers, the logical choice is logging hours on a piece of paper or notebook, which used to be the standard. And while fleet owners usually have records of when a device has malfunctioned, this can create problems later on if a driver has to turn over their logs to an enforcement officer. How Does the ELD Mandate Affect Shippers? ELDs provide more real-time information to carriers and shippers which can be used to increase productivity and improve costs. Because of the pushback to the mandate and costs associated with it, more drivers and vehicles are leaving the field, exacerbating an existing shortage of capacity that may raise rates. Shippers who use carriers that do not comply with the new mandate may find that their cargo is interrupted by a violation found during an inspection. Shippers have a stake in the ELD mandate and its ultimate success or failure. Regardless of what happens, you need to have a plan in place to handle the ever-changing logistics industry. That’s why it pays to have a trustworthy, experienced, and dedicated 3PL like AFP Global Logistics on your side. Much has changed in the transportation industry during the 25 years that AFP Global Logistics has been in business. Over that time, we’ve built a reputation with our clients for quality service and the ability to help them adapt to the various changes in the logistics industry. We can put your company in the best position to succeed during this time of transition, so give us a call today! This entry was posted on Friday, January 19th, 2018	at 1:11 pm	and is filed under News	. You can follow any responses to this entry through the RSS 2.0	feed. Both comments and pings are currently closed.